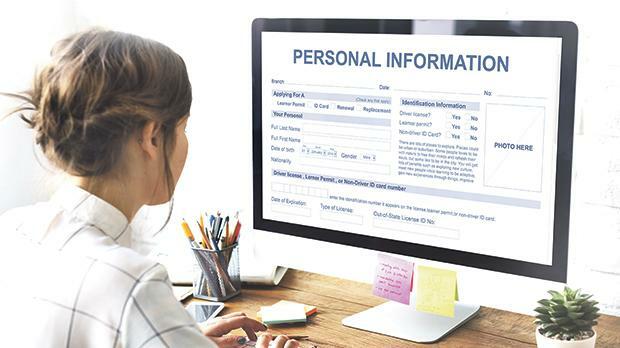 The new deal will extend certain information rights to ‘free’ digital services, as consumers in reality are paying through their personal data for these services. Last Wednesday, the European Commission adopted the New Deal for Consumers package. Through this proposal the Commission commits to strengthen EU consumer rights and enforcement by ensuring that all European consumers fully benefit from their rights under EU law. Wednesday’s adopted proposal, when implemented, will make it possible for qualified entities, including consumer organisations, to seek redress, such as compensation, replacement or repair, on behalf of groups of consumers that have been harmed by an illegal commercial practice. The package is also proposing to revise the Injunctions Directive. This directive gives courts and administrative authorities the power to stop an infringement immediately, without delay. Currently, collective injunctions and redress vary from one Member State to another and there is also the problem of inefficient and unequal enforcement of EU rules. It is being proposed to extend the scope of the directive to all EU law relevant for the collective interests of consumers and also to make it possible for consumers to claim for damages or redress within the same injunctions procedure. Stronger rights for consumers who shop online are another main objective of the proposed changes to consumer legislation. Online shoppers will have the right to be clearly informed by online marketplaces about whether they are buying products or services from a trader or from a private person, so they know if they are protected by consumer rights if something goes wrong. It is also being proposed to extend the scope of the Consumer Rights Directive to include ‘free’ digital services. When paying for a digital service, consumers benefit from certain information rights and also from the 14-day withdrawal period. The New Deal for Consumers will extend these rights to ‘free’ digital services, as consumers in reality are paying through their personal data for these services. This additional protection would, for instance, apply to cloud storage services, social media and e-mail accounts. When consumers suffer harm from unfair commercial practices they are not always sufficiently protected under national law. Furthermore, such protection varies from one Member State to another. The new deal will ensure that consumers in all Member States have the right to claim individual remedies, such as financial compensation or termination of contract, when they are victims of aggressive or misleading marketing. With regard to penalties for violations of EU consumer law, the current penalties in different Member States vary in the way they are calculated and the maximum levels available under national laws. Furthermore, EU consumer authorities are not well equipped to sanction practices creating ‘mass harm situations’ that affect a large number of consumers across the EU. The new deal proposes that national consumer authorities have the power to impose effective, proportionate and dissuasive penalties in a coordinated manner. For widespread infringements that affect consumers in several EU Member States, it is being proposed that the available maximum fine will be four per cent of the trader’s annual turnover in each respective Member State. Member States will also be free to introduce higher maximum fines. The proposed amendments will give national authorities the power to tackle dual quality of consumer products so they will be able to assess and address misleading commercial practices involving the marketing of products as being identical in several EU countries but in reality have different composition or characteristics. The new deal also addresses concerns and issues that businesses are currently facing. The new rules will no longer allow consumers to return products they have already used, instead of merely checking them or trying them out, and traders will no longer be obliged to refund consumers for unwanted goods before first being able to inspect the returned goods. The new rules also introduce more flexibility in the way traders can communicate with consumers, allowing them to use web forms or chats instead of e-mail, provided that consumers can keep track of their communication with the trader. The main objectives of the proposed changes are that of increasing consumer trust and empowerment, to further promote the EU internal market, and to simplify, streamline and modernise EU consumer laws. Odette Vella is director, Information, Education and Research Directorate, Office for Consumer Affairs, Malta Competition and Consumer Affairs Authority.